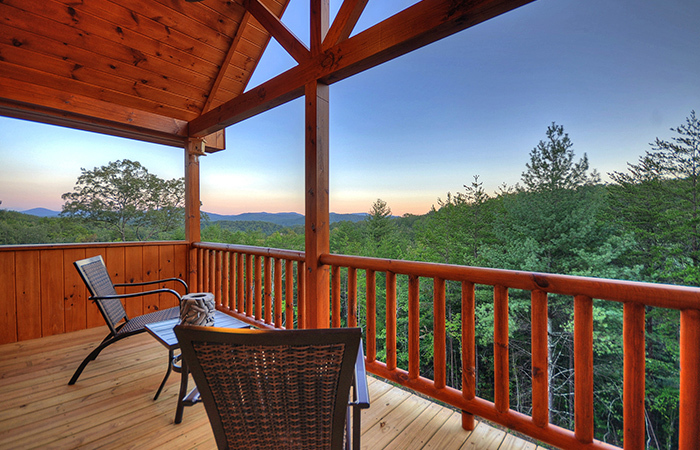 If you’re imagining a tranquil getaway in a rustically luxurious Blue Ridge cabin rental, you have found a place that will warm your heart at Heartwood Lodge. 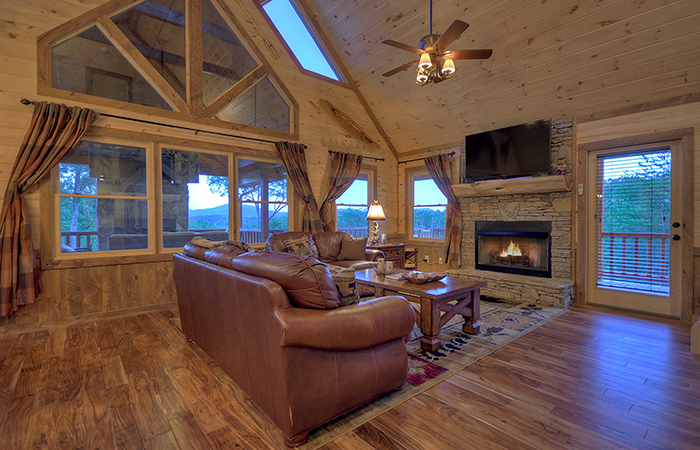 Just as heartwood is the dark wood in the center of a tree that acts as the strong supporting spine of a tree, so the heart of this home, with its cozy interiors and lofty mountain views, sets the stage to uphold memories made with family, friends, and loved ones to last a lifetime. 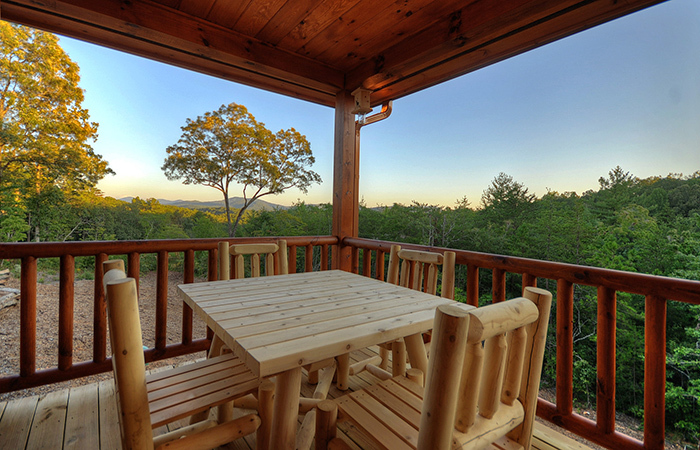 As you drive into the quiet gated community, you will anticipate making beautiful memories with so many amenities offered. 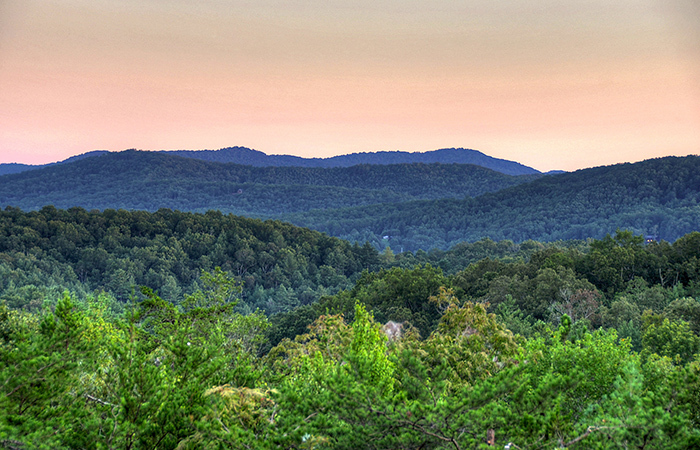 Take tranquil walks on the mountain roads, breathing the fresh mountain air. 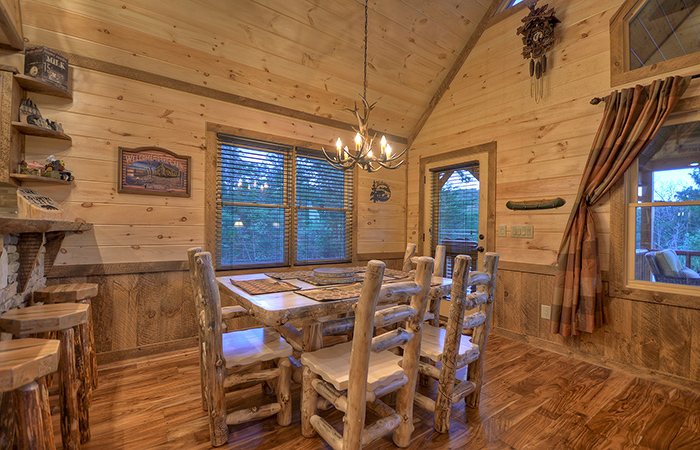 Throw a line in the 1-acre fish pond. 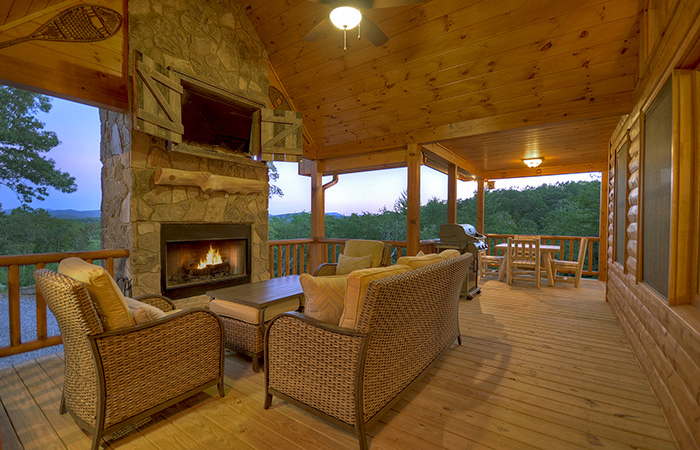 Throw a baseball or football on the grounds where the pavilion is located across the street, and then top off the day at the fire pit with s’mores and songs. 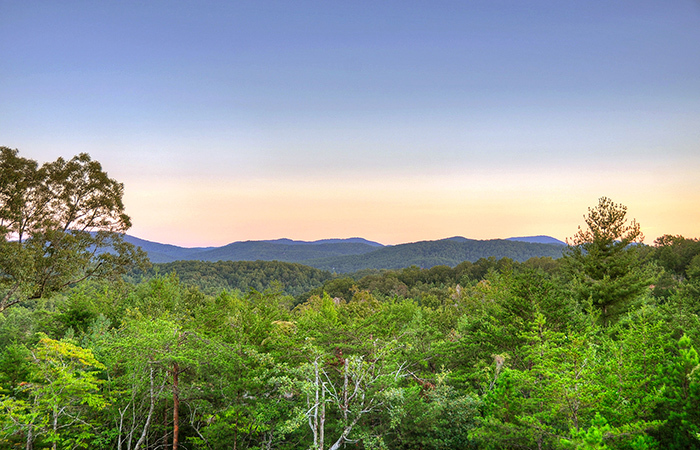 Leaving the hectic pace of the city and immersing yourself in the Blue Ridge mountains never felt so good! 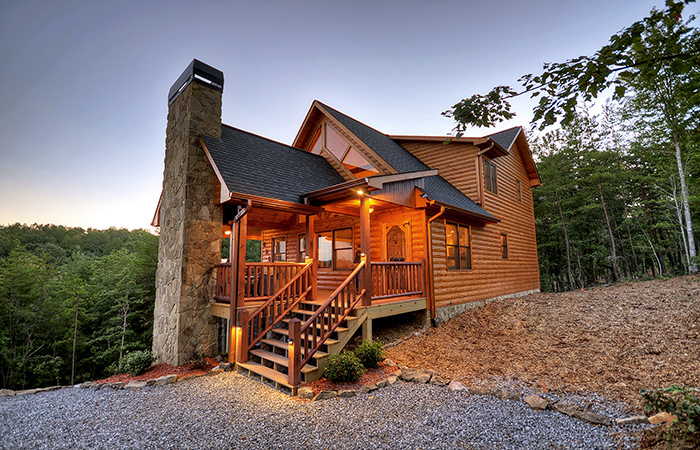 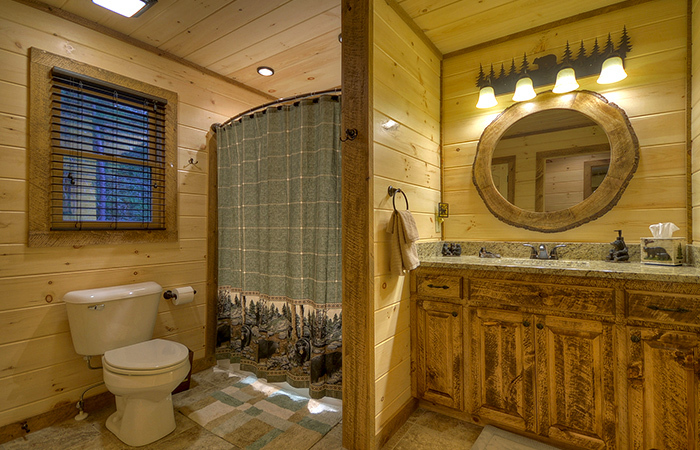 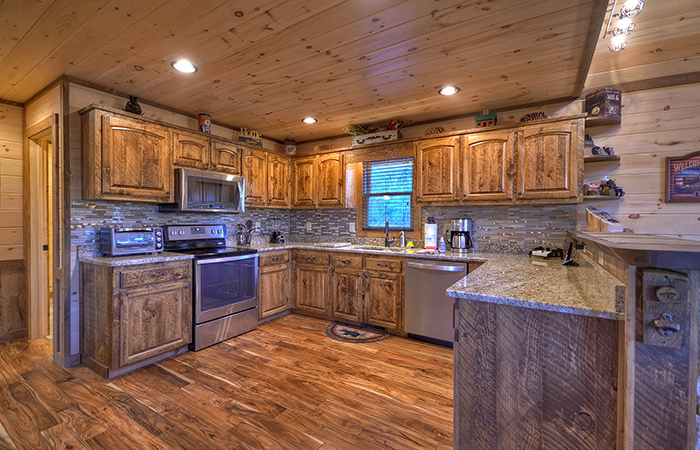 Supremely located between Blue Ridge and Blairsville at 20 minutes either way, this tri-level rustic Blue Ridge cabin sits beautifully perched on a mountain ridge with stunning mountain views beckoning you to indulge in the rustic beauty around you. 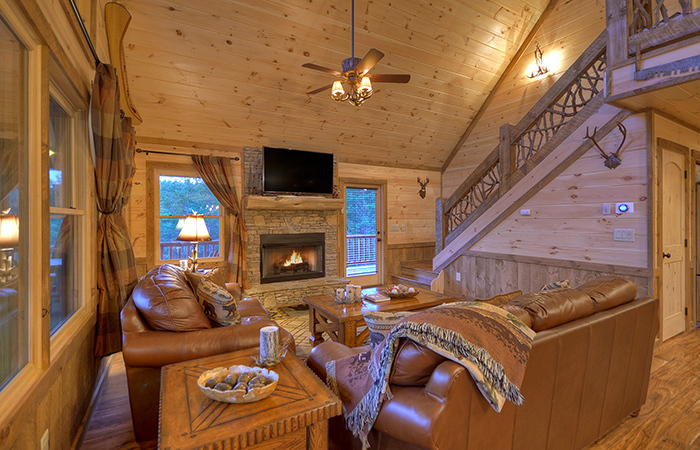 Upon entering Heartwood Lodge, an outdoor warm wood-burning fireplace with cozy conversational seating is just waiting for your memories and conversations. 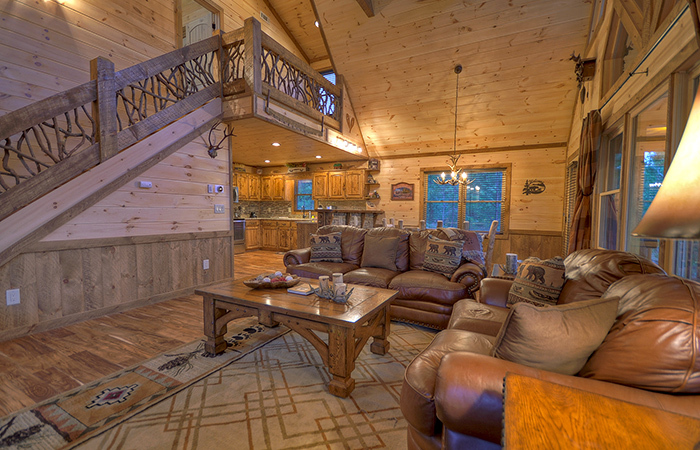 Boasting an invitingly open floor plan that is perfect for lots of togetherness, you will relax and unwind whether lounging in the living area with an abundance of windows bringing the mountains inside or watching TV on a 55” TV over the fireplace, or cooking your latest best recipe for your loved ones in the spacious kitchen. 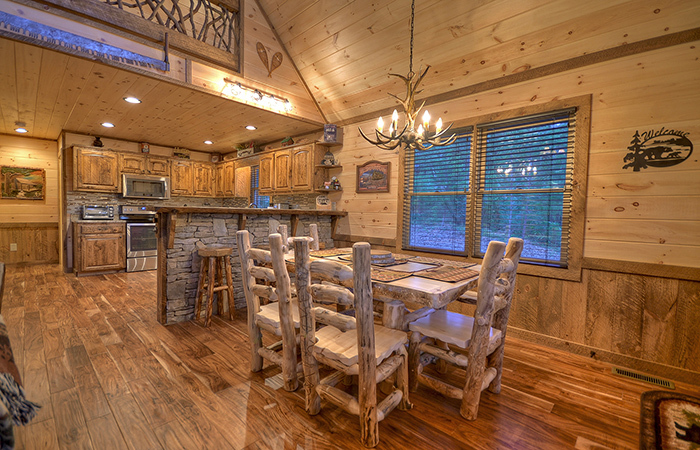 Preparing meals for your group is fun when you have all the accoutrements for a delicious fare. 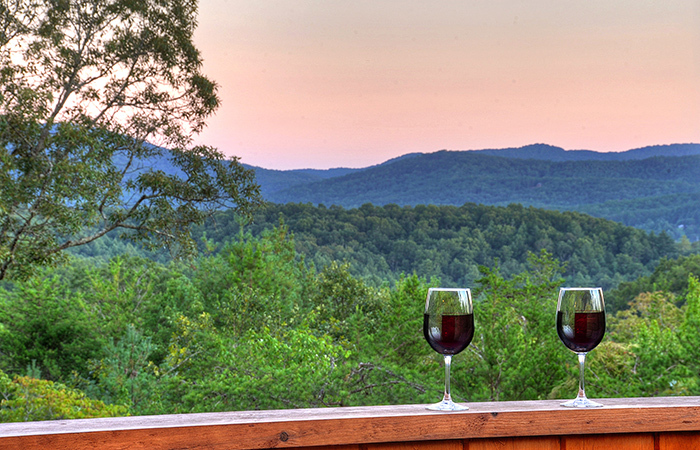 Enjoy dining in the dining area, or al fresco seating for 4 overlooking gorgeous sunsets and the Blue Ridge mountains. 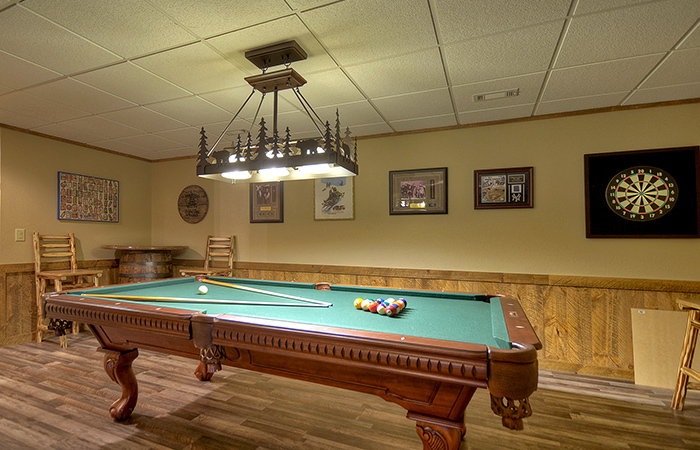 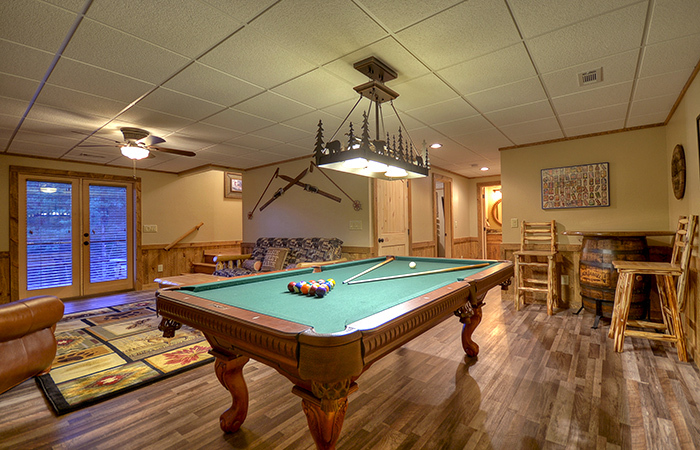 After dinner, head downstairs to the terrace level for a friendly game of pool or card games at the game table. 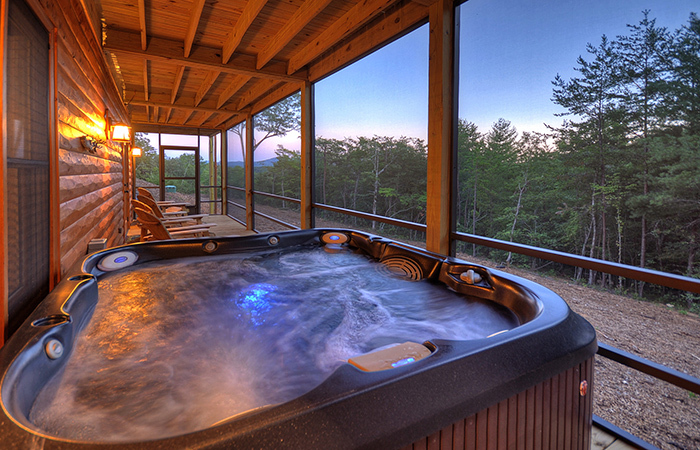 For those late night soaks, the hot tub is located in the screened-in porch. 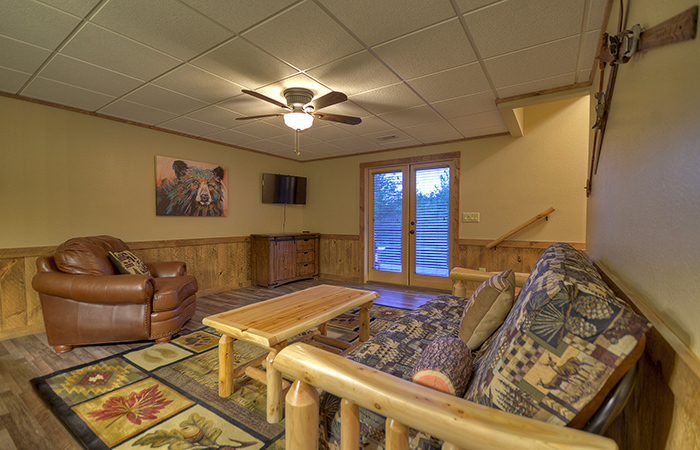 For restful repose, the terrace level offers a Queen bedroom with a flat screen TV and an easily accessed full bath across the hallway. 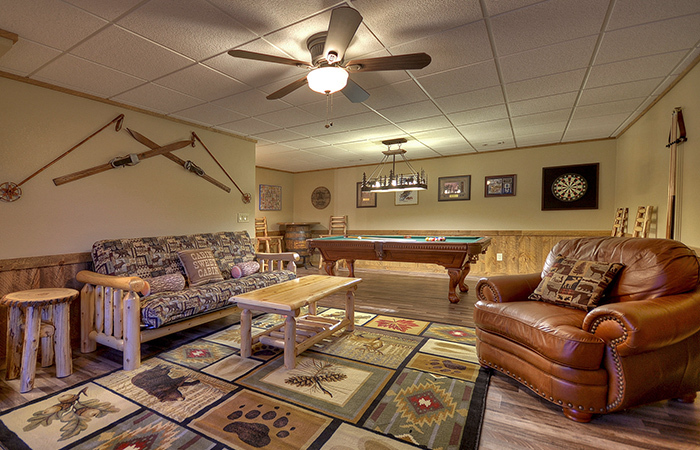 In the living area of the game room, a futon is provided for an extra guest. 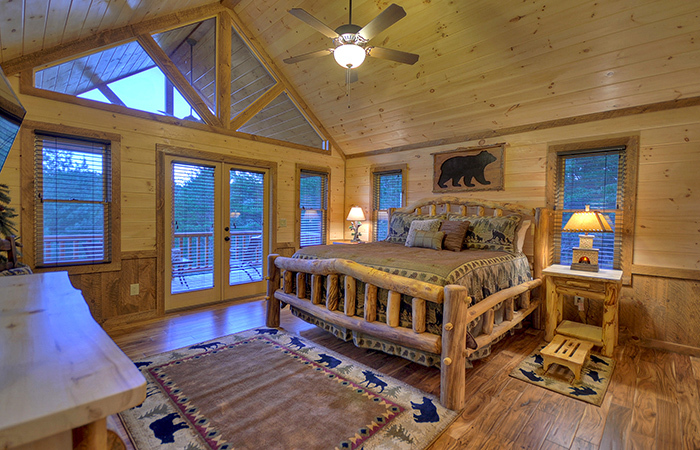 Perfectly designed for couples or families, having a bedroom and bathroom on each level offers enough privacy for everyone. 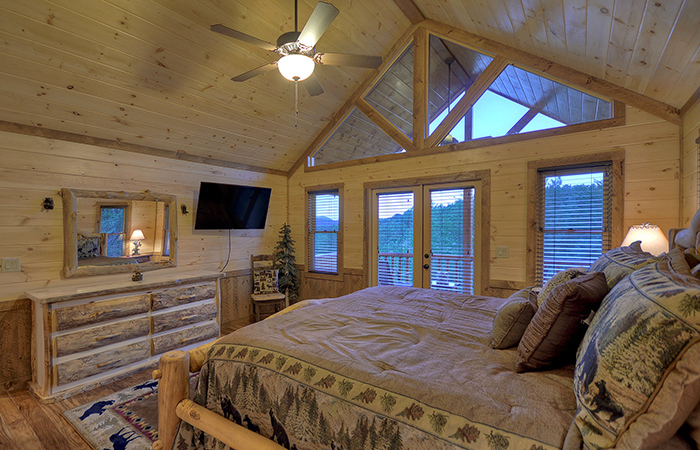 On the third level, feel pampered in the spacious King Suite featuring luxuriously soft linens and a private porch where you can start each day with a cup of coffee, communing with the mountains. 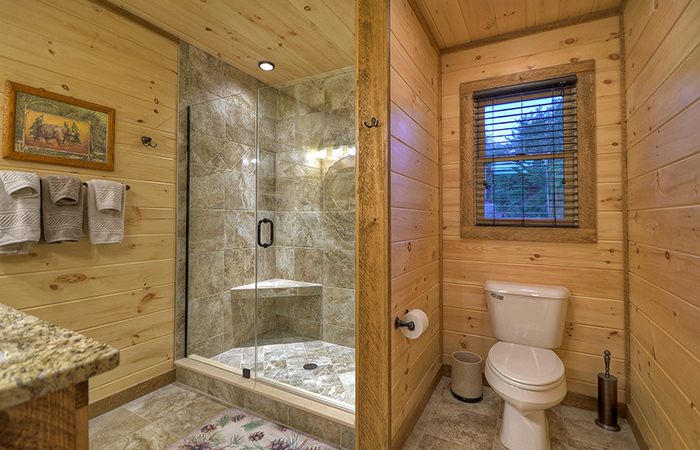 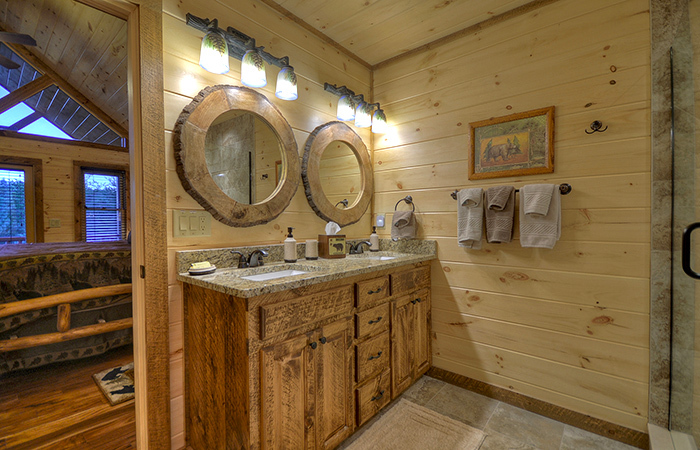 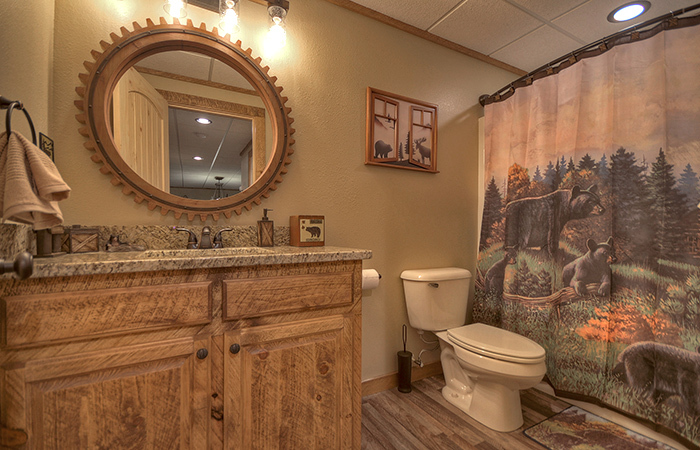 A private en suite bathroom provides double vanities and a walk-in stone shower. 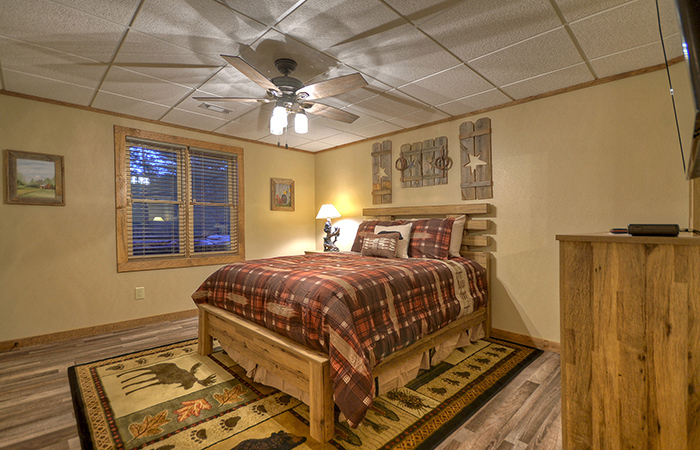 A spacious Queen bedroom on the main level offers a large flat screen TV and access to a full bath across the hall. 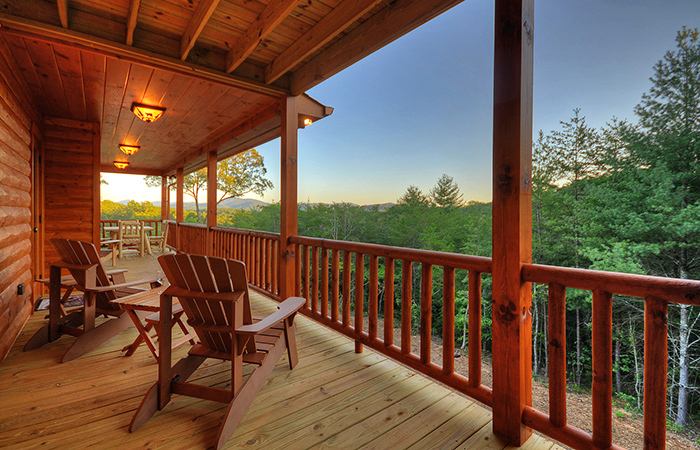 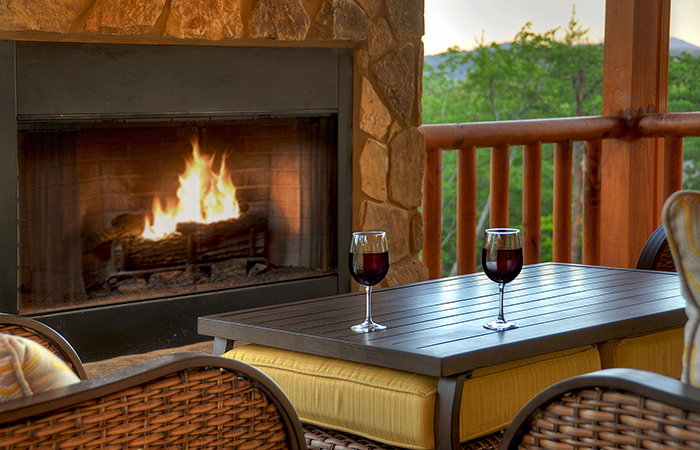 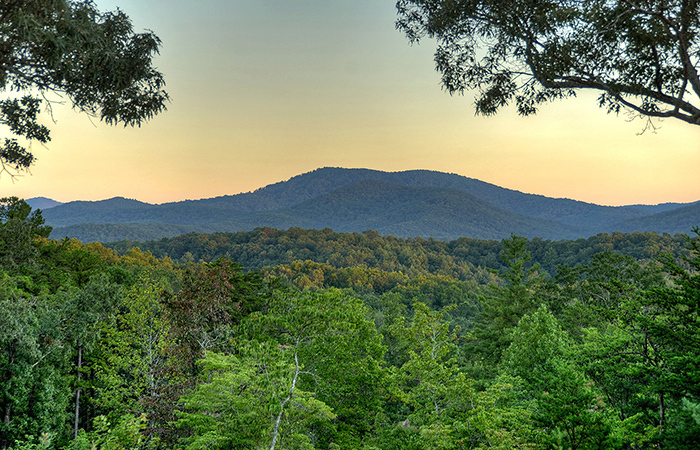 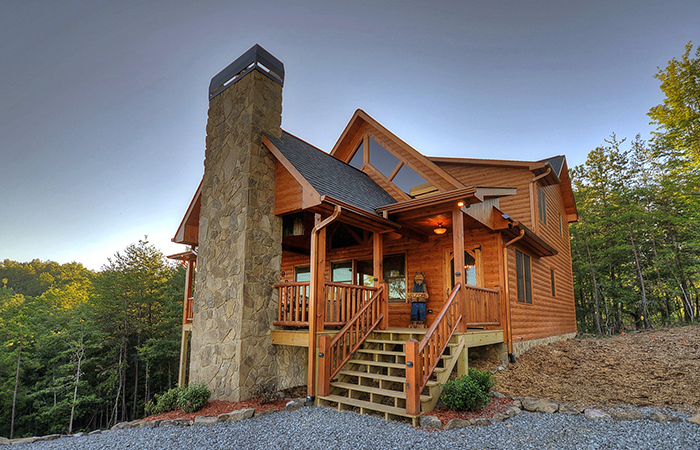 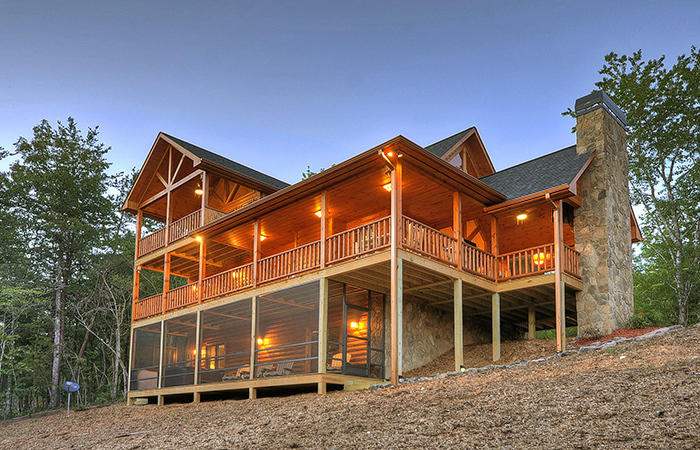 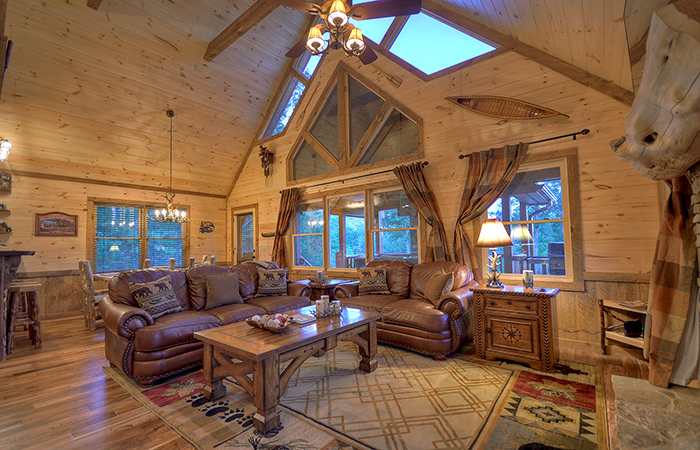 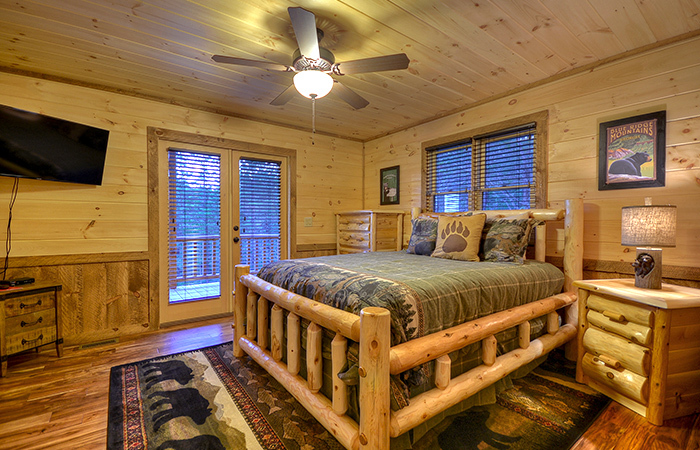 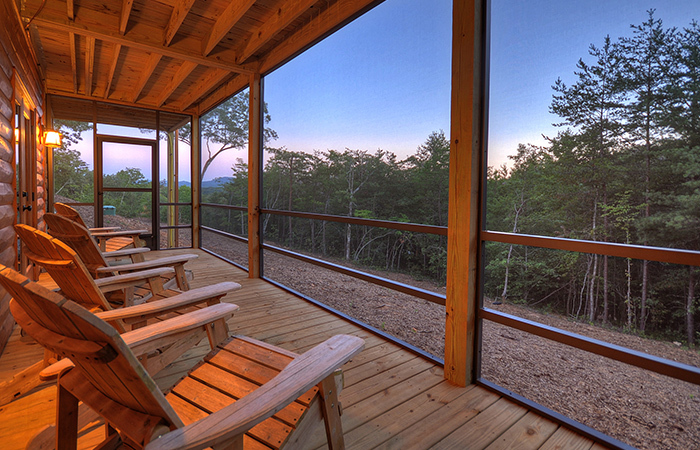 Your expectations of a tranquil getaway in Blue Ridge will be fulfilled both inside and out. 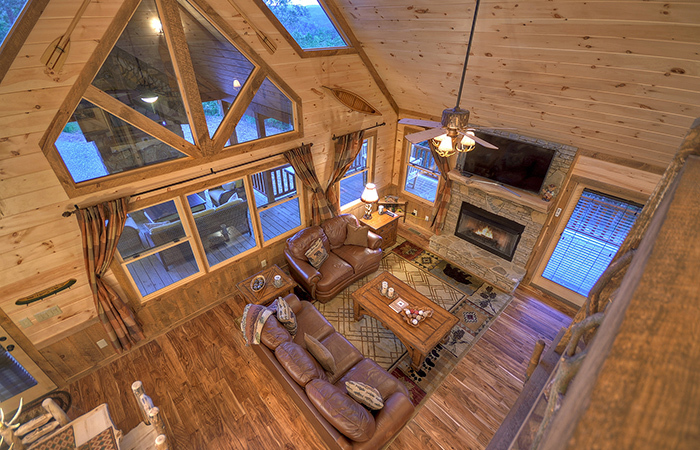 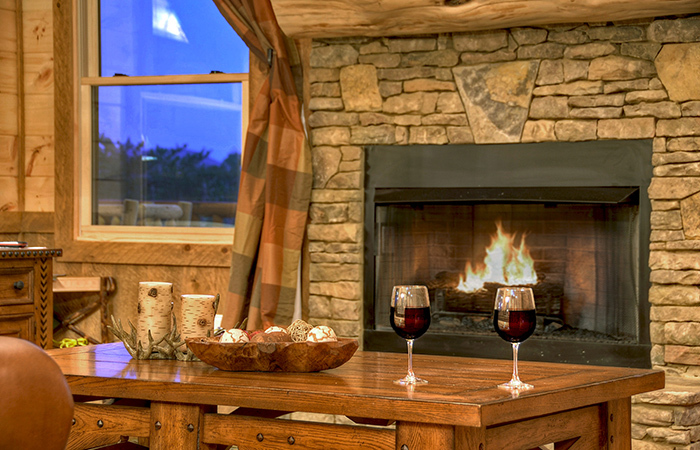 Come spend some time at Heartwood Lodge and rediscover what your heart has been yearning for all along.